So we decided it will be a great idea to add a photowalk to the lineup of events proceeding NiPHEC 2013. We’ll meet at the venue (7 Olufunmi Okikioly street, off , Opebi, lagos) by 2pm with top Nigerian Photographers for a photowalk to Ikeja bus stop. With the leadership of Michael Imomoh & Bayo Omoboriowo, you’ll have the opportunity to network with top photographers in the industry before the main event starts. Don’t miss this. You don’t even need to register for this; JUST SHOW UP. Arrive on time as we will set out by 2pm prompt. Visit http://www.niphec.com/seminars for other seminars to register for at NiPHEC. 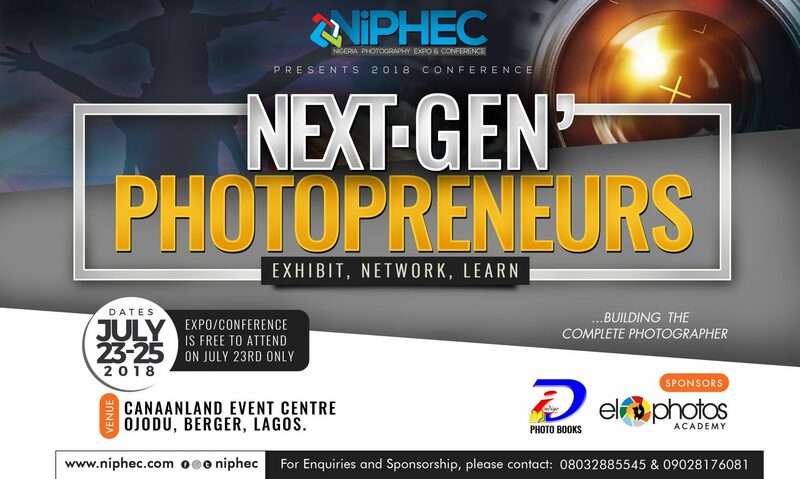 NiPHEC 2013, raising a complete photographer. Hi, just seeing this and wanna know if this event is past or still in the future. Date not indicated. I appreciate if I can get the details in my mail. Date is April 28, 2013. Time is 2pm. Looking forward to having you on board. I guys, I run mad right now! Bcos this is what ever want see in my life as a FOTOGRAFA! Pls am willing to be part of this 100%. Pls give me the privilege.